If you have a little one there is no doubt about it that they are full on lego fans. I really never met a child who isn't. My youngest is currently upset that we are going to Disney instead of Lego Land for his birthday. The obsession is so real in this house! If there aren't legos all over the floors, then they are playing a LEGO video game on the XBOX. When The LEGO Movie came out it was the only thing we were allowed to watch, ever. I believe we went about three times to see in theatres, and it was a no brainer that the movie was going to be played over a million times. I didn't mind just one bit because I absolutely LOVED Emmet. Now the second part is coming to theatres and we are no doubt going to see it about five times until we can get our hands on that DVD. 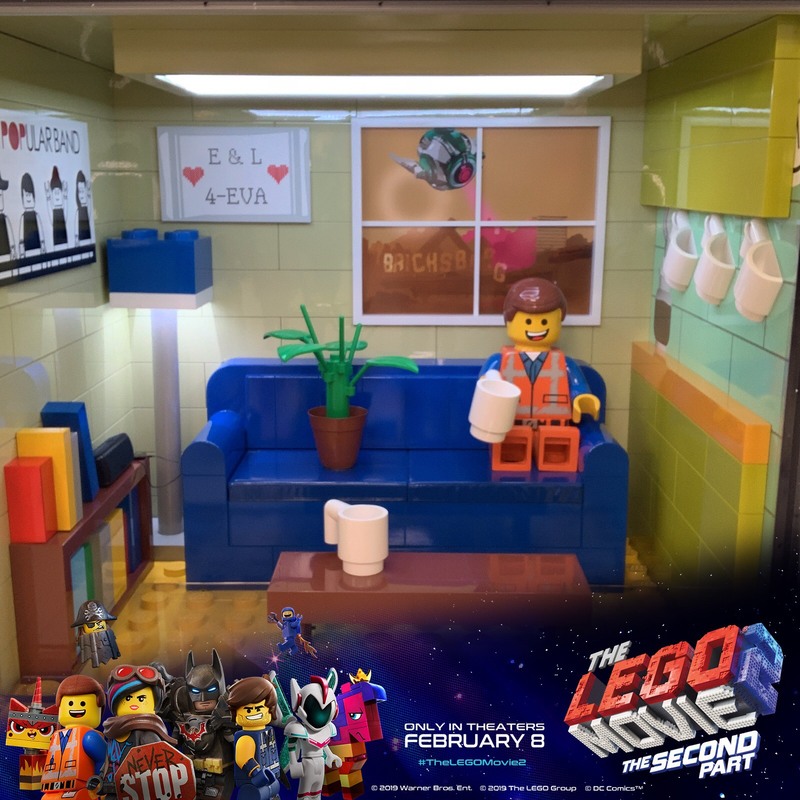 THE LEGO MOVIE 2: THE SECOND PART is coming to theaters on February 8th and everything is AWESOME! To celebrate the opening of the film, Warner Bros. is creating a fun interactive experience for fans of the film to enjoy. 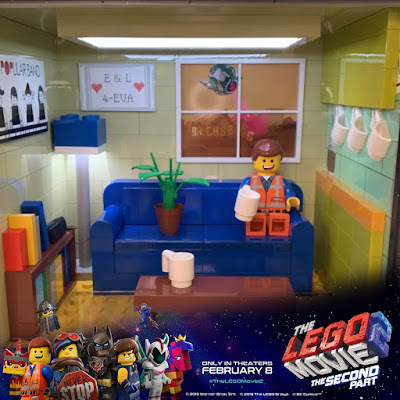 This activation will feature a large scale recreation of a "Mini Room" featured in THE LEGO MOVIE 2: THE SECOND PART in which visitors can sit next to our favorite Lego hero Emmet and take photos that are truly Instagram worthy. We are so excited to go to take a photo with our friend Emmet, and I am sure your little one will be too!! THE LEGO MOVIE 2: THE SECOND PART opens nationwide on February 8th. Tickets for this highly anticipated sequel will go on sale starting this Friday, January 25th as part of #AwesomeWeek.